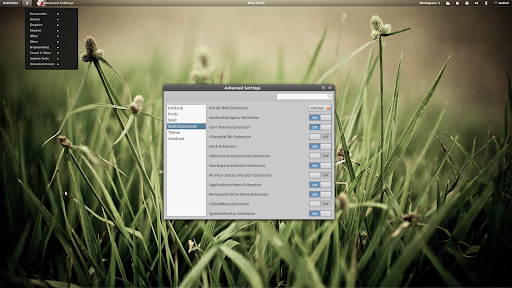 As promised, the latest official GNOME Shell Extensions (version 3.2.0) are now available in the WebUpd8 GNOME 3 PPA for Ubuntu 11.10 Oneiric Ocelot. This PPA is an attempt to have all the stable GNOME 3.2 packages that aren't available in the official Ubuntu 11.10 repositories in a single place. Please note that I did not package this. I'm only uploading these packages to a single PPA. Unfortunately the Dock extension didn't work in my test, that's why it doesn't show up in the video. I've added a patch which fixes the Dock extension. - Dock extension: shows a dock-style task switcher. Unfortunately this extension didn't work in my test, I'm not sure why. I've added a patch which fixes the Dock extension.